The latest version of the X-Wing™ FAQ is now online! This update contains the usual clarifications, updates, new questions, and other minor changes that come with refining the rules. In addition, today’s update includes multiple errata that tournament players should be sure to read about. Learn why these changes were made directly from the developers in the paragraphs below, and then download the new FAQ to see all the changes for yourself! Click on the image above to see the new FAQ. This update goes into effect 11/6/2017. 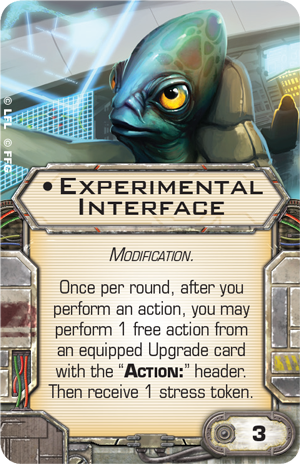 This update to the FAQ offers clarifications on various interactions of Upgrade cards, several pilot abilities, the concepts of “rolling” versus “rerolling,” and most importantly, a few errata. During the past year, in which we have had two X-Wing Worlds Championships, a booming tournament season in between, and the recent North American Championships at Gen Con 2017, we have been monitoring many different aspects of the game and have identified a few cards to be disproportionately powerful and influential. As such, alongside this FAQ, we are introducing errata for three Upgrade cards—Advanced SLAM, Attanni Mindlink, and “Genius”—and five ship cards—Biggs Darklighter, Contracted Scout, Dengar, Manaroo, and Tel Travura. This errata is intended to promote a wide variety of builds in competitive X-Wing and open up new possibilities that were crowded out by especially efficient or reliable builds. Advanced SLAM has allowed K-wings to reliably hit any ship in striking range with Conner Nets or other mines, inflicting unavoidable, guaranteed damage in many board states. Player interactivity and the chance to respond to most effects are extremely important parts of X-Wing, and K-wings with Advanced SLAM for the purpose of unavoidable bombs proved to be a successful combination that revolves around limiting or eliminating interaction. 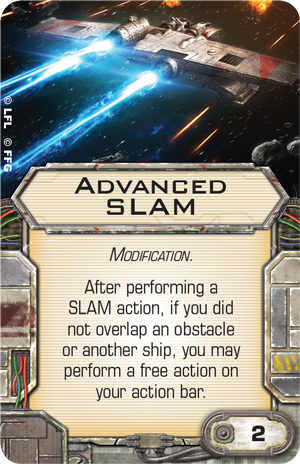 Advanced SLAM now reads: "After performing a SLAM action, if you did not overlap an obstacle or another ship, you may perform a free action on your action bar." 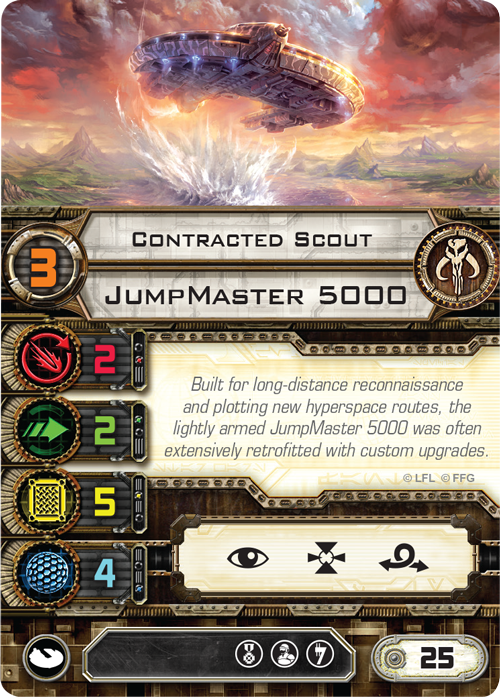 While Experimental Interface still allows K-wings to perform a similar trick, that card is more expensive, unique, and most importantly, the effect comes at the cost of a stress token, which makes the K-wing considerably more predictable in future turns. 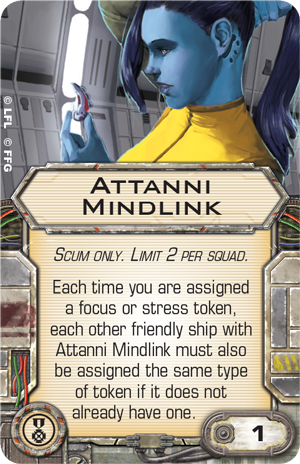 Attanni Mindlink has been the most defining Upgrade card of the Scum faction in the last year of X-Wing, and for good reason. The fact that stress and focus are both shared was designed as a balancing act for players. The problem is that if even a single ship with Attanni Mindlink can stay clear of stress, all linked ships essentially reap the full benefit. Attanni Mindlink now begins with the restriction: "Limit 2 per squad." While Attanni Mindlink remains a powerful card, especially given its low points cost, it now requires more planning to receive the full benefit, as one of two ships must stay stress free instead of one of three or more ships. It is also much easier to counter, as opponents can feasibly force tactical collisions with one or both ships instead of having to pin down three ships to have any effect. Further, with a limit of two copies, opponents can prioritize destroying a single linked ship to eliminate the benefit. 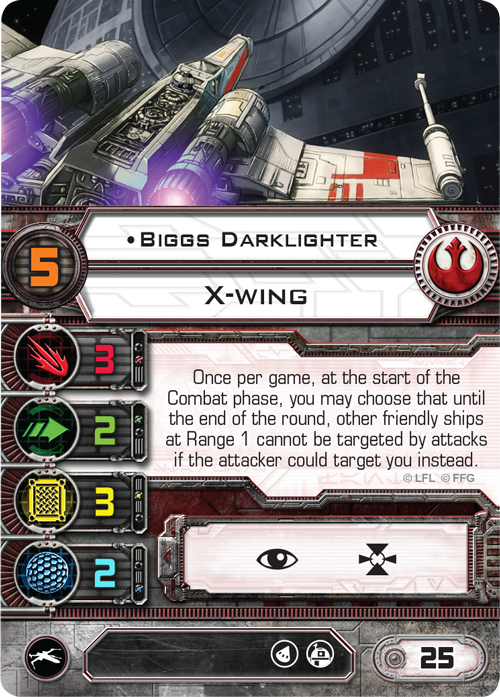 Biggs Darklighter has long been a feature of the the competitive X-Wing scene thanks to his ability to force your opponent to fire at an undesirable target. The combination of the effect being so impactful and active at all times allows lists that make full use of Biggs Darklighter to maximize survivability without major tradeoffs, even late into the game. Biggs Darklighter still works fundamentally the same way—but only for one round of the game, chosen at the start of the Combat phase by the controlling player. 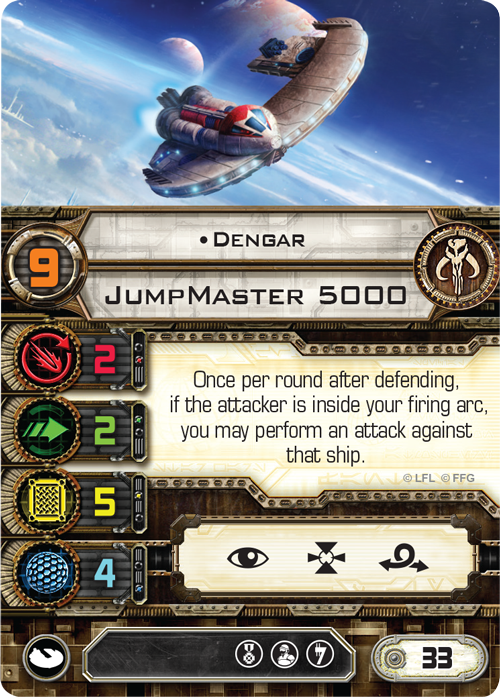 With an activation window at the start of the Combat phase, the player flying Biggs will still almost certainly get good use out of the ability—but not for the full duration of a game. That player must choose the vital moment correctly. Meanwhile, the player flying against Biggs can bluff or attempt to set up hard choices for their opponent in an effort to draw out Biggs’ ability early, letting them deliver a decisive blow on a later turn. For much the same reason that Advanced SLAM is being limited, “Genius” is being changed with the goal of both allowing interaction and curtailing some its power. With this update, a ship equipped with “Genius” can no longer overlap an enemy ship and then bomb it. 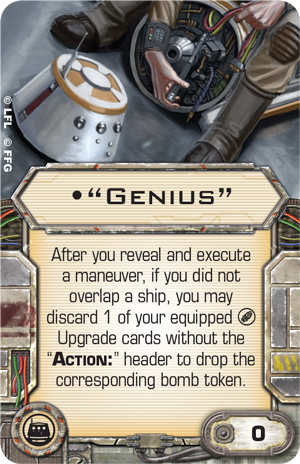 “Genius” is still quite powerful, but ships equipped with it must be piloted more precisely to be useful, rewarding players who can judge the distance to end a maneuver just short of the enemy rather than simply rushing into them and knowing the effect will work. It also allows the opponent an opportunity to use blocking to strategically prevent a player from dropping a bomb. Errata is not undertaken lightly, even more so when it comes to Ship cards. 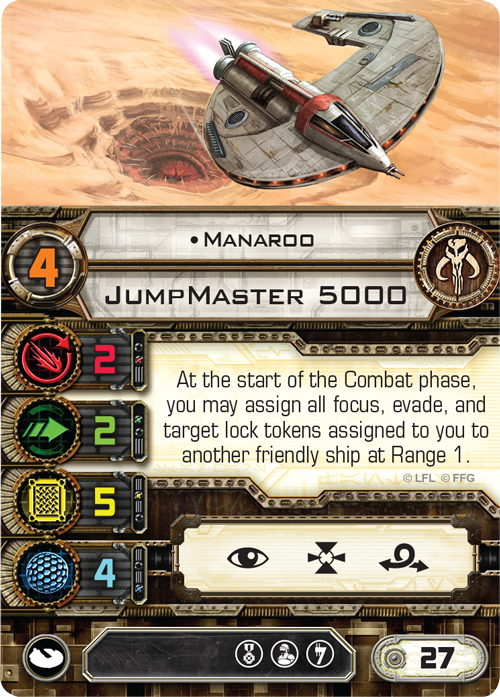 However, the JumpMaster 5000 has remained at the top of competitive X-Wing tournaments for more than a year. Its ability to launch ordnance and its potent dial—made even more flexible by the numerous and powerful salvaged astromechs it can equip—have made it a very difficult ship to contend with. With this errata, all JumpMaster 5000 ships ( Contracted Scout , Dengar , Manaroo , and Tel Travura ) lose both torpedo upgrade icons and the Salvaged Astromech upgrade icon. 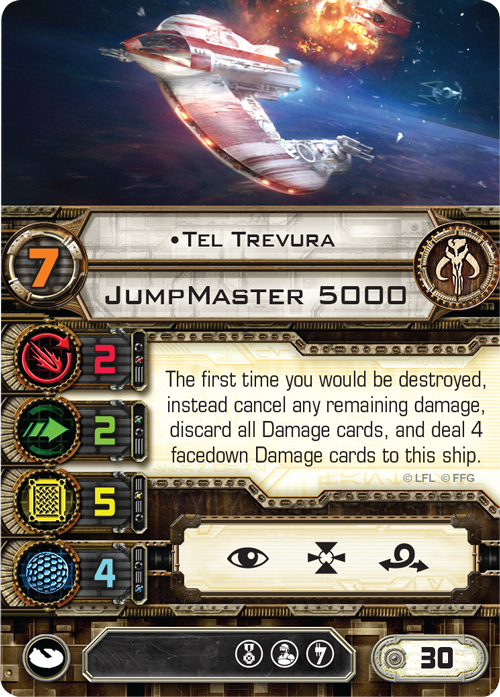 The JumpMaster 5000 is still a powerful ship in the wake of these changes—it brings a great deal to the table for its squad points cost, in the form of a strong dial (and the only one with a white Segnor’s Loop), a Primary Weapon Turret, two agility, and eight health. However, it can no longer reliably deliver multiple powerful torpedo strikes or boost its potent dial with a Salvaged Astromech. 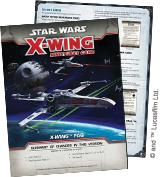 Download the new X-Wing FAQ now to read the entire update before it goes into effect on November 6th. If you're planning on playing at the U.S. National Championship, make sure to read the errata so you're prepared! Players attending an event before November 6th can still find the previous FAQ on the X-Wing page. As always, game rules, tournament regulations, and other support materials for X-Wing can be found on our X-Wing page.